Our platform provides ready to use monitoring agents and log shippers. It exposes the Elasticsearch API and syslog receivers, so you use your favorite open-source tools to get data in or out of Sematext. Create a monitoring app. Install the agent. Invite teammates. It takes only 5 minutes. You won’t need to figure out what to monitor or how to collect key metrics. We’ve done that for you. Want custom Dashboards? No problem! If you’re monitoring a JVM app, you’ll find alert rules for JVM heap. If you’re monitoring Elasticsearch you’ll see anomaly detection rule for the number of nodes in your cluster. Don’t like your default roles? Delete or disable them and add your own! Collect and ship logs to Sematext Cloud using any log shipper library. Elasticsearch is a powerful open source search and analytics engine that makes data easy to explore based on Lucene. It provides a distributed, multitenant-capable full-text search engine with a RESTful web interface and schema-free JSON documents. Elasticsearch is developed in Java and is released as open source under the terms of the Apache License. Worker count, event loop latency, process memory and GC metrics, request and error count and rate, etc. Apache Spark™ is a fast and general engine for large-scale data processing. In contrast to Hadoop’s two-stage disk-based MapReduce paradigm, Spark’s in-memory primitives provide performance up to 100 times faster for certain applications. By allowing user programs to load data into a cluster’s memory and query it repeatedly, Spark is well suited to machine learning algorithms. For persistence, Spark can use either Hadoop Distributed File System (HDFS) or Cassandra. Master, workers, drivers, executors, straming, apps, jobs, stages, storage, etc. Apache Kafka is publish-subscribe messaging rethought as a distributed commit log. A single Kafka broker can handle hundreds of megabytes of reads and writes per second from thousands of clients. Kafka is designed to allow a single cluster to serve as the central data backbone for a large organization. Messages are persisted on disk and replicated within the cluster to prevent data loss. 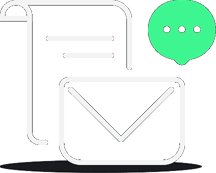 Each broker can handle terabytes of messages without performance impact. Docker is an open platform for developers and sysadmins to build, ship, and run distributed applications. Consisting of Docker Engine, a portable, lightweight runtime and packaging tool, and Docker Hub, a cloud service for sharing applications and automating workflows, Docker enables apps to be quickly assembled from components and eliminates the friction between development, QA, and production environments. Apache HBase™ is the Hadoop database, a distributed, scalable, big data store. Use Apache HBase when you need random, realtime read/write access to your Big Data. This project’s goal is the hosting of very large tables — billions of rows X millions of columns — atop clusters of commodity hardware. Apache HBase is an open-source, distributed, versioned, non-relational database modeled after Google’s Bigtable. Just as Bigtable leverages the distributed data storage provided by the Google File System, Apache HBase provides Bigtable-like capabilities on top of Hadoop and HDFS. MongoDB is a cross-platform document-oriented database. Classified as a NoSQL database, MongoDB eschews the traditional table-based relational database structure in favor of JSON-like documents with dynamic schemas (MongoDB calls the format BSON), making the integration of data in certain types of applications easier and faster. Released under a combination of the GNU Affero General Public License and the Apache License, MongoDB is free and open-source software. Amazon Web Services (AWS) is a collection of remote computing services, also called web services that together make up a cloud computing platform by Amazon.com since 2006. The most central and well-known of these services are Amazon EC2 and Amazon S3. The service is advertised as providing a large computing capacity (potentially many servers) much faster and cheaper than building a physical server farm. Apache Tomcat™ is an open source software implementation of the Java Servlet and JavaServer Pages technologies. The Java Servlet and JavaServer Pages specifications are developed under the Java Community Process. Apache Tomcat powers numerous large-scale, mission-critical web applications across a diverse range of industries and organizations. Monitor cache size and utlization, request counts, traffic in/out, threads, tasks, data sources, JVM, etc. The Apache HTTP Server, colloquially called Apache, is the world’s most widely-used Web server software. Originally based on the NCSA HTTPd server, development of Apache began in early 1995 after work on the NCSA code stalled. Apache played a key role in the initial growth of the World Wide Web, quickly overtaking NCSA HTTPd as the dominant HTTP server, and has remained the most popular HTTP server since April 1996. In 2009, it became the first Web server software to serve more than 100 million Web sites. Nginx (pronounced engine-x) is a high-performance HTTP server and reverse proxy, as well as an IMAP/POP3 proxy server. Nginx is known for its high performance, stability, rich feature set, simple configuration, and low resource consumption. Unlike traditional servers, Nginx doesn’t rely on threads to handle requests. Instead it uses a much more scalable event-driven (asynchronous) architecture. This architecture uses small, but more importantly, predictable amounts of memory under load. Request count and rate, read/write connections, PHP FPM Pool requests and processes, and OS metrics. Request count and rate, read/write connections, status zone traffic requests, responses and more. Redis is an open source, BSD licensed, advanced key-value cache and store. It is often referred to as a data structure server since keys can contain strings, hashes, lists, sets, sorted sets, bitmaps and hyperloglogs. Redis maps keys to many types of values. A key difference between Redis and other structured storage systems is that Redis supports not only strings, but also abstract data types. The type of a value determines what operations (called commands) are available for the value itself. Redis supports high-level, atomic, server-side operations like intersection, union, and difference between sets and sorting of lists, sets and sorted sets. MySQL is a popular choice of database for use in web applications, and is a central component of the widely used LAMP open source web application software stack (and other ‘AMP’ stacks). LAMP is an acronym for “Linux, Apache, MySQL, Perl/PHP/Python.” Free-software-open source projects that require a full-featured database management system often use MySQL. Connection and node stats, request latency, outstanding requests, etc. Free & open source, high-performance, distributed memory object caching system, generic in nature, but intended for use in speeding up dynamic web applications by alleviating database load. Memcached is an in-memory key-value store for small chunks of arbitrary data (strings, objects) from results of database calls, API calls, or page rendering. HAProxy is a free, open source high availability solution, providing load balancing and proxying for TCP and HTTP-based applications by spreading requests across multiple servers. It is written in C and has a reputation for being fast and efficient (in terms of processor and memory usage). HAProxy is used by a number of high-profile websites including GitHub, Stack Overflow, Reddit, Tumblr, and Twitter and is used in the OpsWorks product from Amazon Web Services. Session count and rate, traffic in/out, failures, server status, role, OS metrics, etc. Java is a general-purpose computer programming language that is concurrent, class-based, object-oriented, and specifically designed to have as few implementation dependencies as possible. It is intended to let application developers “write once, run anywhere” (WORA), meaning that code that runs on one platform does not need to be recompiled to run on another. Java applications are typically compiled to bytecode that can run on any Java virtual machine (JVM) regardless of computer architecture. Java is, as of 2014, one of the most popular programming languages in use, particularly for client-server web applications, with a reported 9 million developers. PagerDuty provides alerting, on-call scheduling, escalation policies and incident tracking to increase uptime of your apps, servers, websites and databases. PagerDuty is an operations performance platform delivering visibility and actionable intelligence across the entire incident lifecycle. Nagios is the industry-standard in IT infrastructure monitoring. Nagios provides enterprise-class Open Source monitoring of hosts, services, applications, and networks. Learn why organizations around the world trust Nagios to handle their IT infrastructure monitoring and business process continuity. A webhook (or WebHook), in web development, is a method of augmenting or altering the behavior of a web page, or web application, with custom callbacks. These callbacks may be maintained, modified, and managed by third-party users and developers who may not necessarily be affiliated with the originating website or application. Icinga is an open source network and computer system monitoring application. It was originally created as a fork of the Nagios system monitoring application in 2009. Icinga is attempting to get past perceived short-comings in Nagios’ development process, as well as adding new features such as a modern Web 2.0 style user interface, additional database connectors (for MySQL, Oracle, and PostgreSQL), and a REST API that lets administrators integrate numerous extensions without complicated modification of the Icinga core. Shinken is a monitoring framework. It’s a Python Nagios® Core total rewrite enhancing flexibility and large environment management. Features include ready to run monitoring packs, endless scalability and RAID-like availability, focus on critical business impacts only, full virtualization integration, and ability to keep your Nagios configuration and plugins. SenseiDB is a distributed data system that was built to support many product initiatives at LinkedIn.com, e.g. LinkedIn Signal and the LinkedIn Homepage. It is foundation to the LinkedIn’s search and data infrastructure. Sensei is both a search engine and a database. Sensei is designed to query and navigate through documents with parts that contain text and are unstructured, as well as parts containing meta information that have well-formed structures. Kamon is Open Source tool for monitoring applications running on the JVM. Its core components provide a clean and simple API for recording metrics and trace information for any application running on the JVM. Enhance your onboarding experience with bytecode instrumentation modules that automatically measure and trace your application with modules for Scala, Akka, Spray and Play! Akka is an open-source toolkit and runtime simplifying the construction of concurrent and distributed applications on the JVM. Akka supports multiple programming models for concurrency, but it emphasizes actor-based concurrency, with inspiration drawn from Erlang. Language bindings exist for both Java and Scala. Akka is written in Scala, and as of Scala 2.10, Akka’s actor implementation is included as part of the Scala standard library. CentOS (abbreviated from Community Enterprise Operating System) is a Linux distribution that attempts to provide a free, enterprise-class, community-supported computing platform which aims to be functionally compatible with its upstream source, Red Hat Enterprise Linux (RHEL). In January 2014, CentOS announced the official joining with Red Hat while staying independent from RHEL, under a new CentOS governing board. Ubuntu is a Debian-based Linux operating system and open source software platform that runs everywhere from the smartphone, the tablet and the PC to the server and the cloud. Debian is the name for several Gnu/Linux operating systems, composed primarily of free and open-source software, most of which is under the GNU General Public License, and developed by a group of individuals known as the Debian project. At each point in time the Debian project offers three Linux distributions, named “stable”, “testing”, “unstable” officially. The Debian Stable distribution is one of the most popular for personal computers and network servers, and has been used as a base for several other Linux distributions. Deis is an open source Platform as a service (PaaS) that leverages Docker, CoreOS and Heroku Buildpacks to provide a private application platform that is lightweight and flexible. It is an open source PaaS that makes it easy to deploy and manage applications on your own servers. Deis builds upon Docker and CoreOS to provide a lightweight PaaS with a Heroku-inspired workflow. Scala is a programming language for general software applications. Scala has full support for functional programming and a very strong static type system. This allows programs written in Scala to be very concise and thus smaller in size than other general-purpose programming languages. Many of Scala’s design decisions were inspired by criticism of the shortcomings of Java. Groovy is a powerful, optionally typed and dynamic language, with features similar to those of Python, Ruby, Perl, and Smalltalk, and static-typing and static compilation capabilities, for the Java platform aimed at multiplying developers’ productivity thanks to a concise, familiar and easy to learn syntax. BigPanda offers the world’s first Autonomous Digital Operations Platform that intelligently automates IT incidents. Powered by their unique Open Box Machine Learning technology, BigPanda helps your IT Ops team handle more incidents, respond more quickly, and dramatically improve on key metrics such as MTTD, MTTA and MTTR. Incident Management Built for the Speed of DevOps. Driven by system data and team collaboration, VictorOps automates getting the right alert to the right person at the right time, reducing alert fatigue and increasing uptime. OpsGenie is an incident response orchestration platform for DevOps & ITOps teams to streamline your alerts & incident resolution processes faster & efficiently. 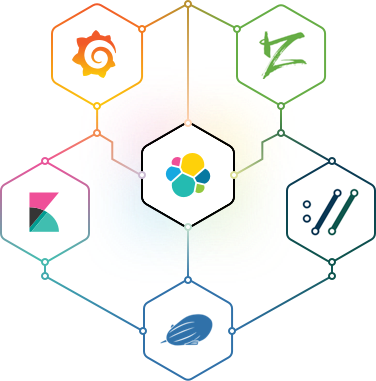 Sematext Logsene exposes the Elasticsearch API that thrives in the center of the rich ecosystem of data shipping, analysis and visualization tools and services. Use any visualization or analysis tool with Elasticsearch support to get your data out of Elasticsearch – Kibana, Grafana, Apache Zeppelin, Zoomdata, etc. Run an in-house Elastic/ELK Stack, tired of managing it, and want to give Sematext a go? Keep using your existing data shippers like Logstash, Filebeat, or Fluentd and just point them to Sematext HTTP API using your app token as your index.